I wasn't planning on doing this, but the hubs talked me into it. There's a sale in my shop today! 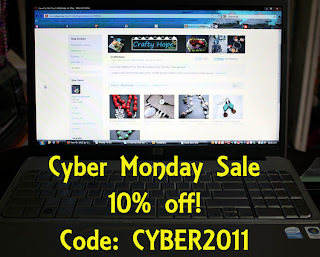 That code is CYBER2011 and is good for 10% ANY item in the CraftyHope shop, including items already ON SALE. While that's going on, I'm frantically trying to finish this Challenge of Color piece as well as catch up on all the housework I avoided over the long, holiday weekend. Seriously, we did NOTHING other than eat, watch football, and laze about. Well, I did get my menu made just before Walking Dead came on. (Did y'all see that episode last night? Were you expecting that? I totally wasn't. It was great!) Anyway, since it is Menu Plan Monday as well as Cyber Monday, I've got a meal plan to share with you. 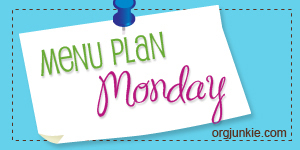 There's more Menu Plan Monday where this came from. . .and that's over at I'm an Organizing Junkie! If you've been paying attention, you'll know that today is Day 3 of the Virtual Craft Show over at Pretty Things. 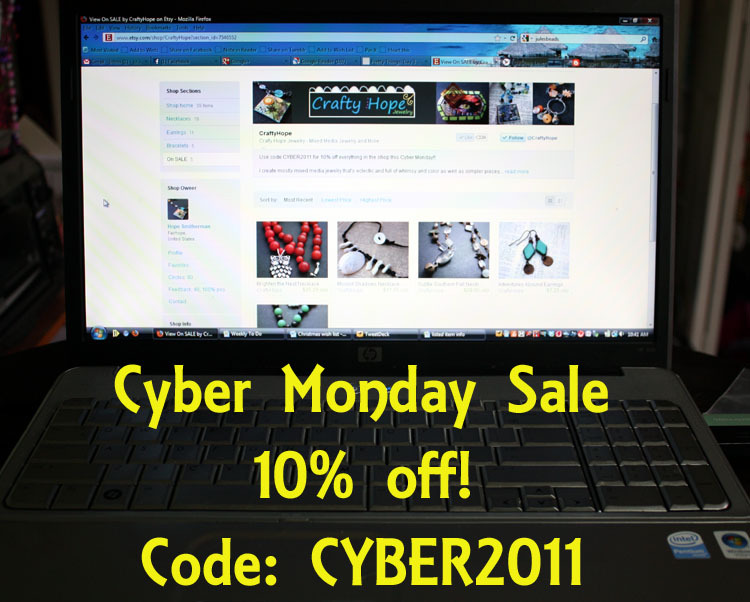 That means there's MORE deals and giveaways and eye candy for you to enjoy! Lastly, this cute little guy is 20% off now! I'm off to see if I can make some headway on both my Challenge of Color piece and the disaster that I call my house! 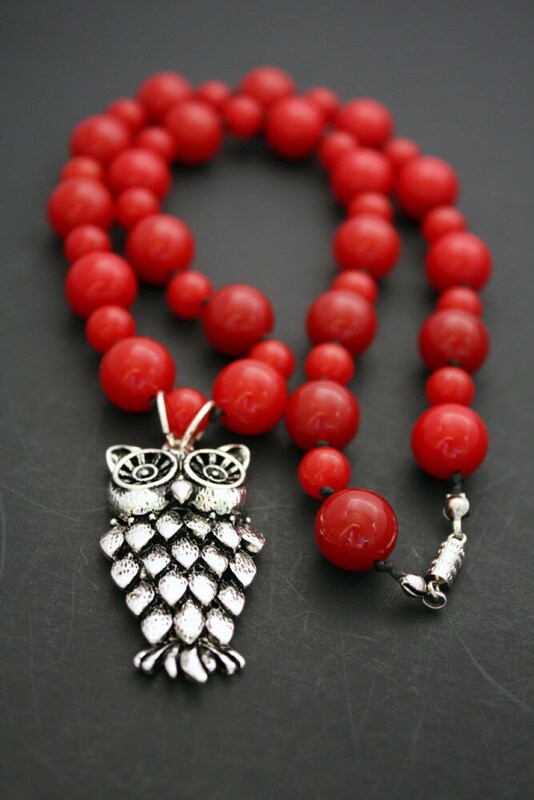 The owl necklace is adorable!! Best wishes on a successful sale today. i ended up having one, too, as a group I'm in decided to do a joint one. Figure that's a good way to get more followers in any case!